One might ask Why Dara now ? The answer lies in his tolerence and rather more than that the respect for other religions a sufi himself, there was and is no doubt the History of India would have been completely richer and wonderful if he was the Emperor. The world needs more him and the world shall know much more after this exhibition…. about the Sufi student and saint. Dara Shikoh (1615–1659) was the eldest son of the Mughal Emperor Shah Jahan and his wife Mumtaz Mahal. His name is from Persian داراشكوه meaning “The possessor of Glory”. 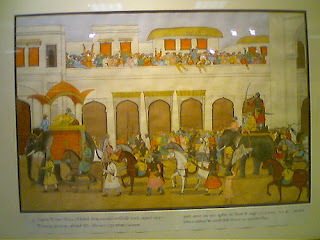 He was favoured as a successor by his father and his sister Jahanara Begum, but was defeated by his younger brother Aurangzeb in a bitter struggle for the Mughal throne. 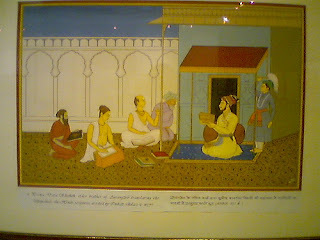 Dara Shikoh was a gentle and pious Sufi intellectual, one of the greatest representatives of that uniquely Indian synthesis sometimes referred to as the “composite culture”. He was an erudite champion of mystical religious speculation (which made him a heretic in the eyes of his more orthodox brother and the coterie around him) and a poetic diviner of syncretic cultural interaction among people of all faiths. Historians have speculated how different India would have been had he prevailed over his less enlightened brother Aurangzeb. 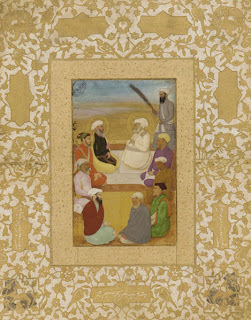 Dara was a follower of Lahore’s famous Qadiri Sufi saint Mian Mir, whom he was introduced to by Mullah Shah Badakhshi (Mian Mir’s spiritual disciple and successor). He devoted much effort towards finding a common mystical language between Islam and Hinduism. Towards this goal he translated the Upanishads from its original Sanskrit into Persian so it could be read by Muslim scholars. His translation is often called “Sirre Akbar” or The Greatest Mystery, where he states boldly, in the Introduction, his speculative hypothesis that the work referred to in the Qur’an as the “Kitab al-maknun” or the hidden book is none other than the Upanishads. 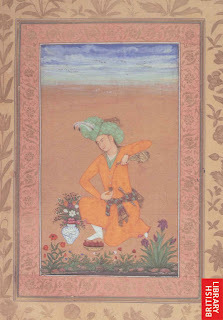 His most famous work, Majma ul-Bahrain (“The Mingling of the Two Oceans”) was also devoted to finding the commonalities between Sufism and Hindu Monotheism.